A great opportunity to acquire a very lightly used Southerly 535 with a very high specification including Selden Carbon Mast, In-Boom furling, electric headsail furling system and a beautiful teak interior. This yacht really looks stunning! Following the success of the Southerly 57RS, superyacht designers, Dubois Naval Architects have been commissioned to work alongside the Southerly design team, to create the Southerly 535. Innovative design, sleek styling, powerful sailing performance, superior build quality and luxurious accommodation are all hallmarks of this superb yacht. 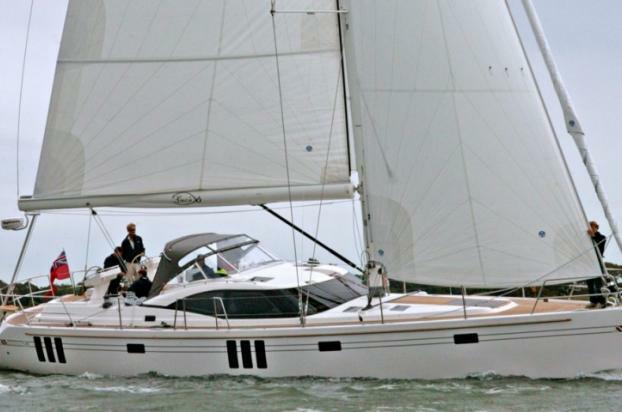 The Southerly 535 is designed for easy handling, and can be sailed by just two people. The tall powerful rig with swept back spreaders will keep the yacht sailing fast in all weather conditions, with minimum effort. The double headsail rig is suitable for most wind conditions and sailing environments; the self tacking jib allows you to sail easily on short tacks without any effort - ideal for coastal cruising. The overlapping genoa enhances upwind performance in light airs, and together, the double headsail is perfect for down wind trade wind sailing. An optional asymmetric gennaker, for off wind sailing, can be flown from a bowsprit. In boom furling is standard, with in mast furling or slab reefing available as an option.